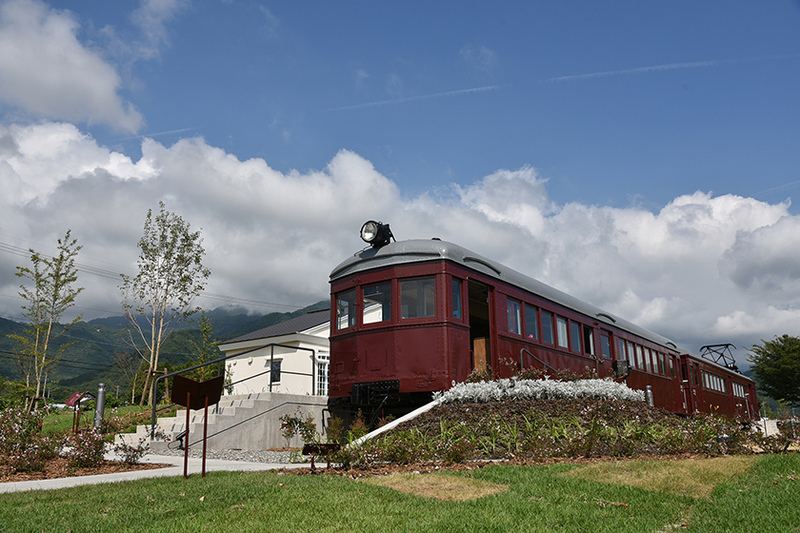 The building housing the Chihiro Art Museum Azumino was designed to be a place for visitors to relax and feel at home, providing a respite from the bustle of everyday life. 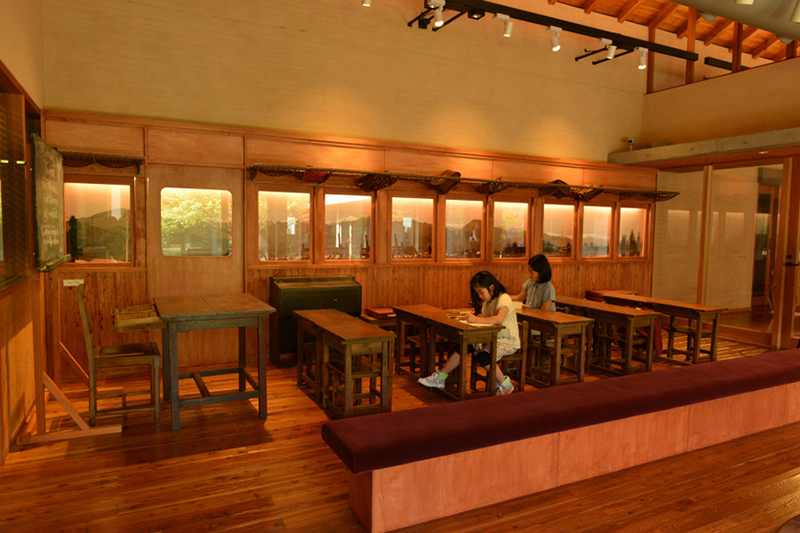 The Museum, which rotates displays every two months, includes several quiet exhibit rooms for viewing Chihiro Iwasaki’s artwork along with regular exhibits featuring selections from the International Collection and a display presenting the history of picture book illustrations, as well as a picture book library, play room, café with a terrace, and museum shop with a variety of original Museum goods for visitors of all ages. 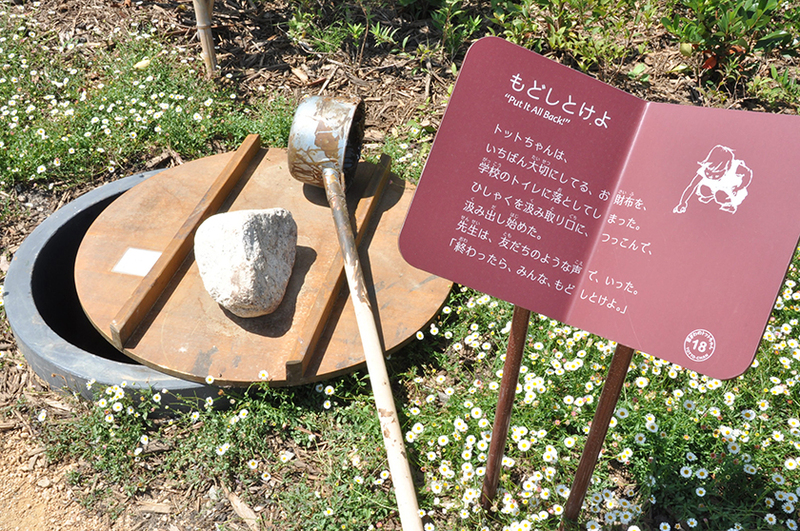 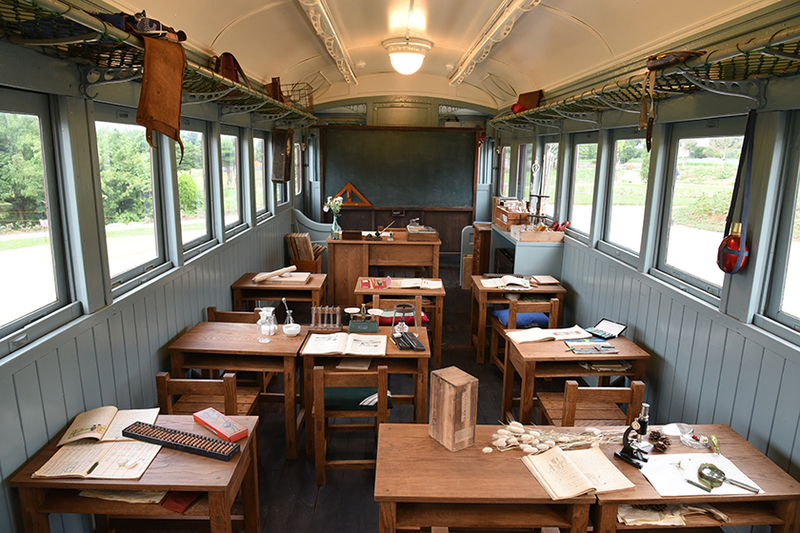 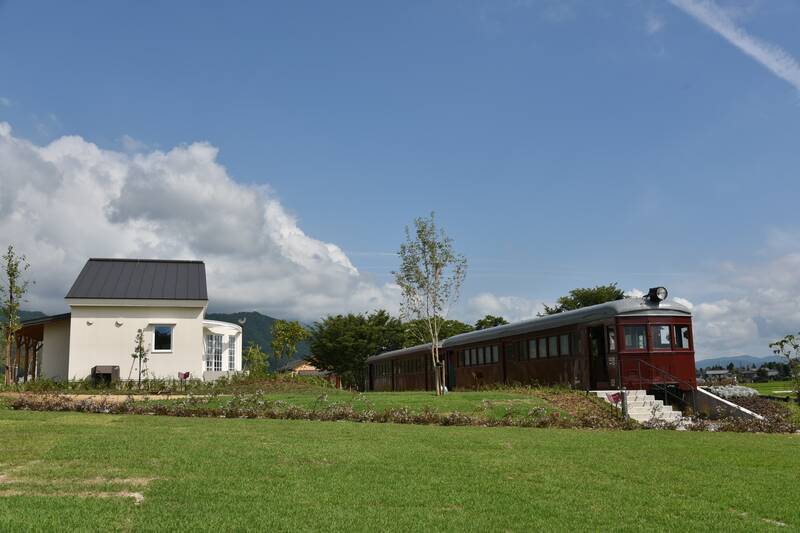 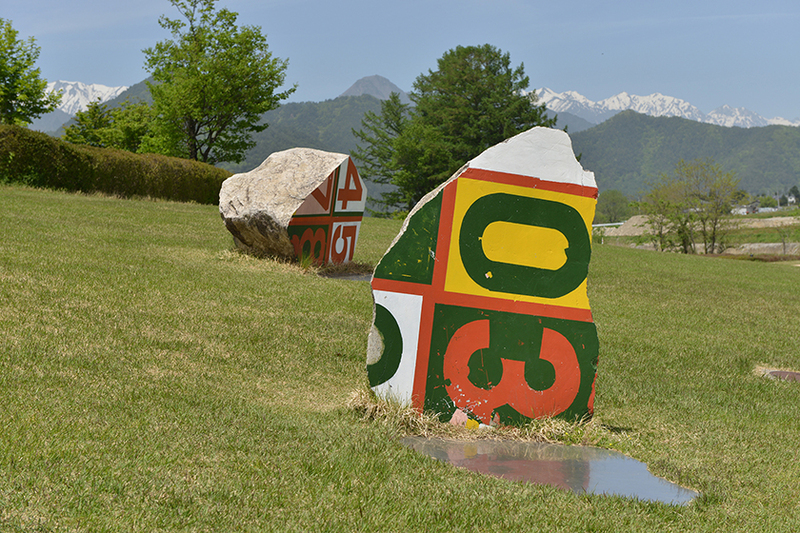 In the Azumino Chihiro park visitors can see Chihiro’s restored studio, the Stone Project and Ponds designed by Czech artist Kveta Pacovská and Totto-chan’s Square featuring two old-fashioned railroad cars that recreate the classrooms of Tomoe School described in the book Totto-chan, the Little Girl at the Window written by Tetsuko Kuroyanagi with illustrations by Chihiro. 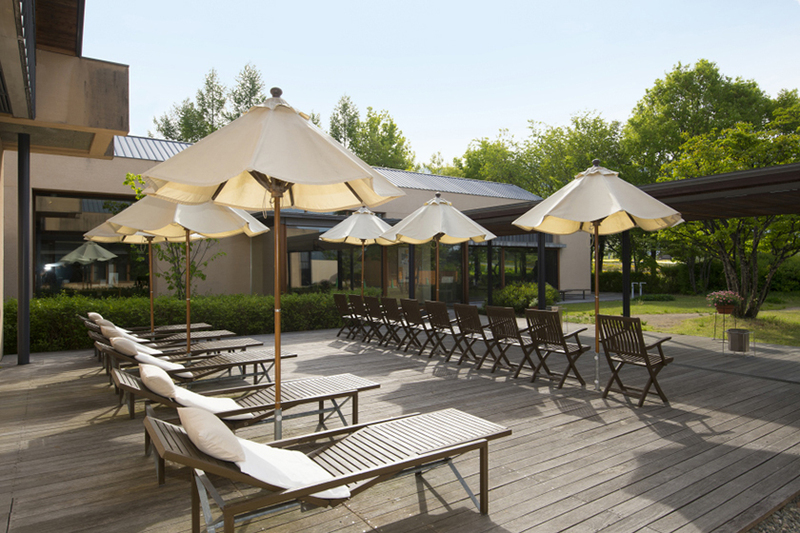 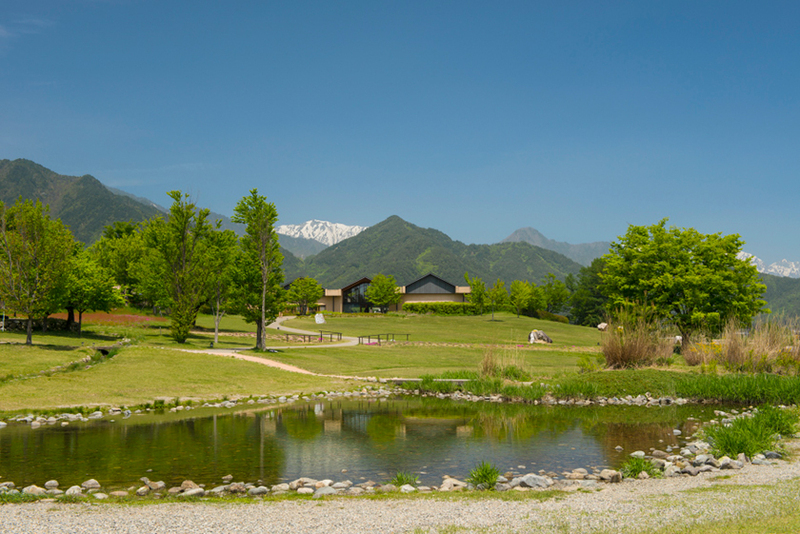 The surroundings feature flowers that accent the distinctive colors of each season, groves, a stream, and a majestic view of Japanse Alps, offering the ideal location for a leisurely outdoor stroll any time of the year. 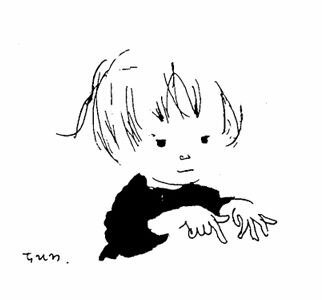 ―What is “Totto-chan: The Little Girl at the Window”? 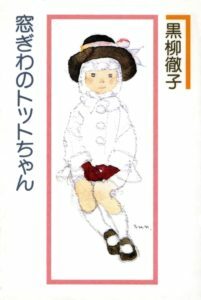 Totto-chan : The Little Girl at the Window, by Tetsuko Kuroyanagi, is a children’s book about the author’s experiences as a young girl attending Tomoe Gakuen primary school. 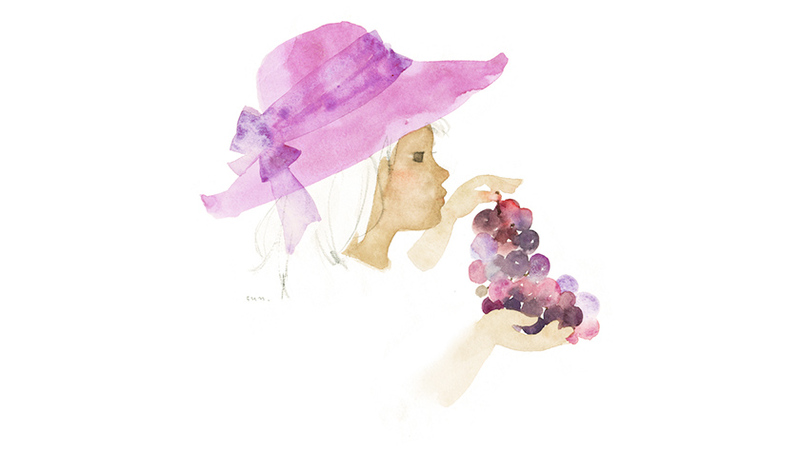 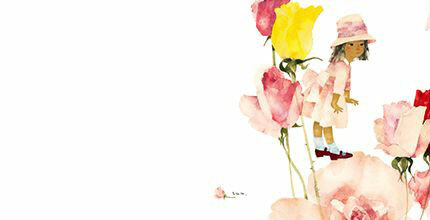 Although published after Chihiro Iwasaki’s death, in accordance with Kuroyanagi’s wishes, the book features illustrations by Iwasaki, which were chosen from among the works that the artist left behind. 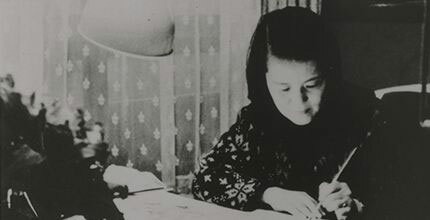 Following its publication in 1981, Totto-chan: The Little Girl at the Window became a best seller. 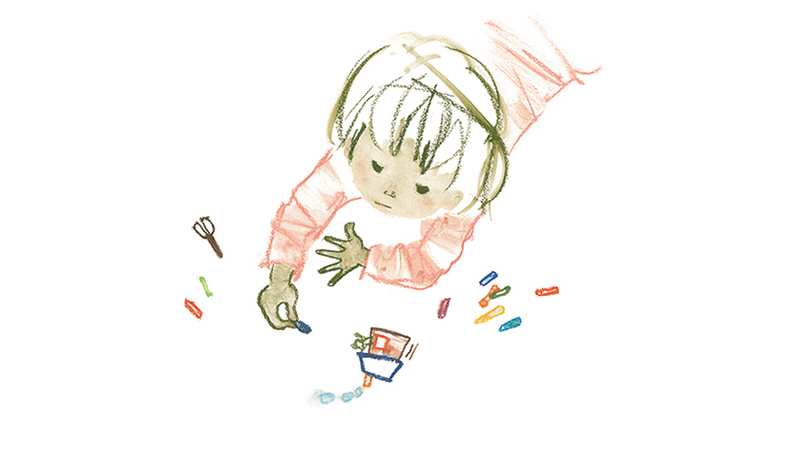 It has been translated into multiple languages and is read and loved around the world.